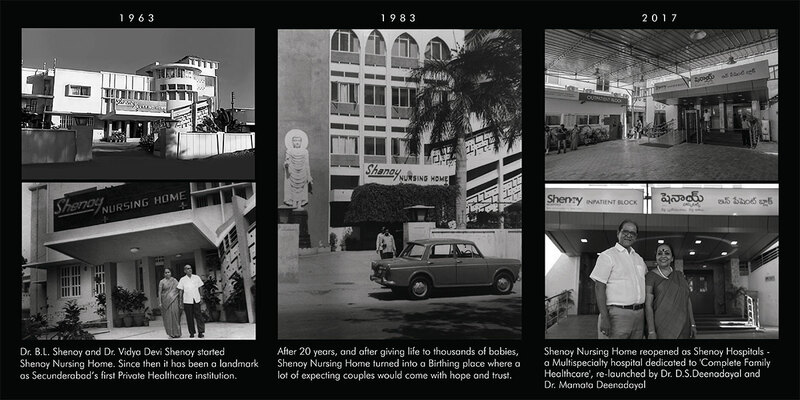 With a golden reputation of more than 50 years, Shenoy Hospitals is the COMPLETE FAMILY HOSPITAL of first recall. Ushering in an era of new advancements and new hope, Shenoy Hospitals has highly experienced and dedicated Specialists, the latest facilities, and a genuine caring approach. A state-of-the-art Multispecialty Hospital located in the heart of Secunderabad, it has 50 well-equipped patient beds, 2 highly advanced birthing suites, and a separate building for Outpatient Care. It also has a 24-hour Emergency Unit along with ambulance service. All, dedicated to your good health!